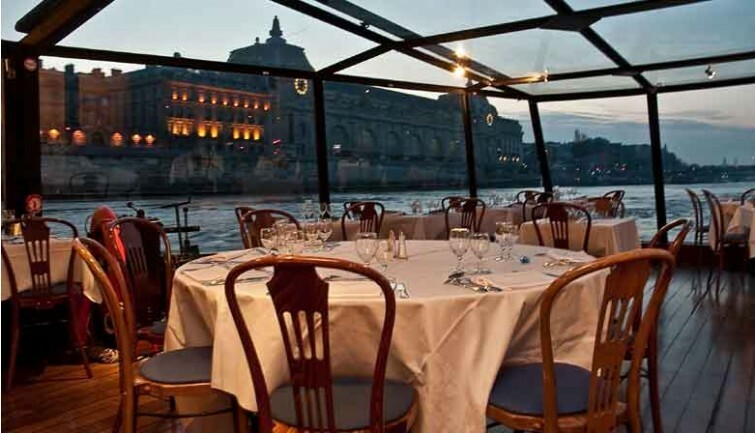 Enjoy a wonderful evening on board a PARISCityVISION La Marina boat. We advise you to arrive at around 8:45pm at Solférino port, quai Anatole France, located just by the Musée d’Orsay, to board your boat on the Seine. La Marina’s crew will greet you and sit you at your table for an unforgettable 2-hour dinner cruise. Admire a magnificent view of the illuminated monuments along the Seine and the bridges of Paris that lie across it. From the boat’s large bay windows, you will see the Musée d’Orsay, Notre-Dame de Paris Cathedral and the Conciergerie located on the Ile de la Cité, as well as the Louvre. This exceptional view will also include a chance to observe the illuminated Eiffel Tower as the boat passes by. In the boat’s cozy and intimate surroundings, enjoy a romantic or relaxed dinner in a warm atmosphere. 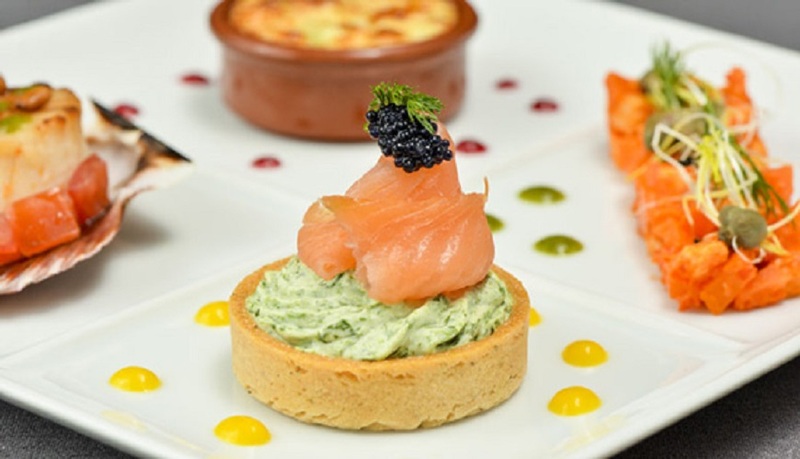 You will spend an enchanted evening savoring a traditional French meal prepared with seasonal produce. At the end of the cruise on the Seine, the boat docks at Solférino port at around 11:15 pm for you to make your way home.